History Today ...from the Editor: An Age of Peace? A few weeks ago, I was invited along to a conference at the newly inaugurated Department of Public History at Royal Holloway, University of London. Among the guest speakers was the classicist and broadcaster Bettany Hughes. She talked of the ‘guilty pleasure’ she took in watching the film 300, the highly stylised adaptation of Frank Miller’s graphic novel inspired by the Battle of Thermopylae of 480 bc, when the Greek city states, led by Sparta, defeated the vast Persian forces of Xerxes I. I too took some pleasure in the film but, not being a speaker of Ancient Greek, I did not realise that the script was highly regarded by classicists. Apparently, it follows the idioms and rhythms of the original Greek very closely. 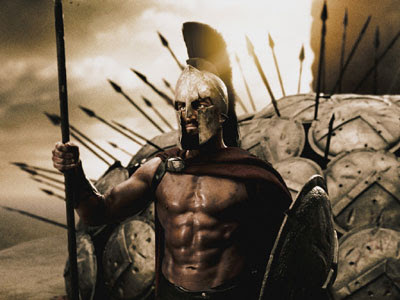 What had struck me about 300 was its ferocious violence. After listening to Bettany’s enthusiasms for all things Greek, I was moved to read the Iliad, in the Penguin Classics translation by Robert Fagles. Again, I was struck by the intensity and frequency of the violence and the graphic descriptions of brutal hand-to-hand combat: javelins crack shoulders, arrows pierce foreheads, limbs are hacked, repeatedly. Death and danger are constant. Aside from literary texts, statistics also reinforce the view that the past was far more violent than the present. The criminologist Manuel Eisner claims that murder rates in Europe have declined from 100 killings per 100,000 people in the High Middle Ages to less than one killing per 100,000 today. Since 1945, the number of deaths in battle has fallen from 65,000 per conflict per year to less than 2,000 deaths in the last decade. Since the end of the Cold War in 1989, there have been fewer civil wars and a 90 percent reduction in the number of deaths by genocide. So why do so many people think we live in an age of frequent if not unprecedented violence? Well, Pinker thinks, blame the news crews. As he puts it, ‘the Associated Press is a better chronicler of wars across the globe than were 16th-century monks’. And, as cognitive psychologists point out, the easier it is to recall an event, the more likely we are to believe it will happen again. ‘Gory war zone images from TV are burned into memory,’ writes Pinker, ‘but we never see reports of many more people dying in their beds of old age.’ Further, no charity or NGO ever attracted more donors and supporters by saying things are getting better! Why then has violence declined so much? There is no lack of desire to watch violence re-enacted: whether in films like 300 or in gratuitous horrors like the Saw franchise; in the plays of Shakespeare or in video games such as Grand Theft Auto. But fewer people, it seems, wish to make these fantasies a reality. The sociologist Norbert Elias gives credit to European modernity which ‘accelerated a civilising process marked by increases in self-control, long-term planning and sensitivity to the thoughts and feelings of others.’ This process was hastened by the emergence of nation states with a monopoly of violence. Certainly, it has been demonstrated that the witch-hunts, the great irrational and violent craze that afflicted Europe during the early-modern period, were much less frequent in centralised states such as England or Spain than they were in the small, personalised prince-bishoprics of Germany. The political scientist James Payne suggests another reason for the decline in violence. Life was once very cheap and ‘when pain and death are everyday features of one’s own life, one feels less compunction about inflicting them on others’. Life seems very cheap indeed in the pages of the Iliad. It’s nice to know that modern mankind is doing something right. Let us pray for peace for the world. Let us make the world pollution free and save it for our children. Wish you all the best. God is Great.